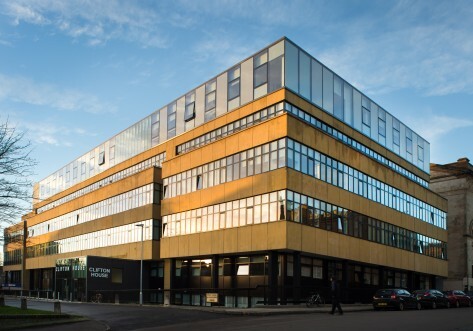 Situated within walking distance of Strathclyde University and the excellent transport links that can take you around the city in minutes, it could not be in a more prime location. All studios feature a large bed and modern integrated kitchen. 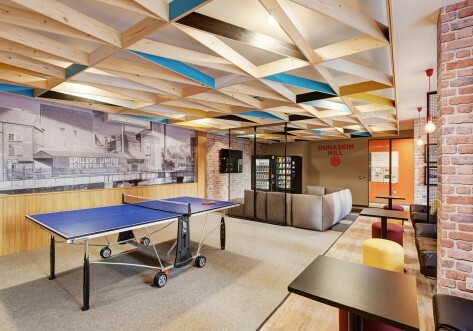 Enjoy the ultimate student lifestyle with communal games and study areas, on-site gym facilities and cinema room, televisions in the cluster kitchens, vending machines, 100Mbs Wi-Fi, and all-inclusive pricing. This spacious en-suite room comes complete with a 3/4 sized bed, large en-suite, ample storage as well as a large study desk and chair. 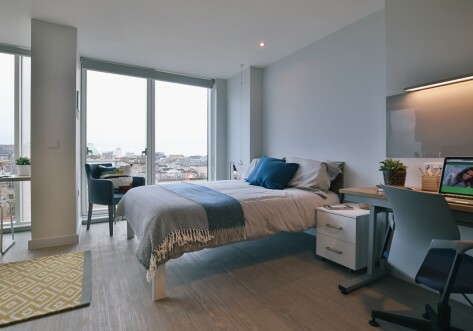 One of the largest self-contained studios measuring , with lots of floorspace, high quality furnishings and a fantastic floor to ceiling window to enjoy the view. 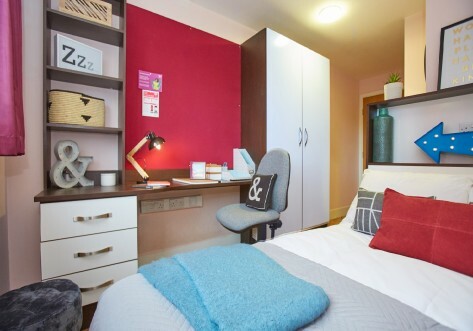 These studios also feature a three quarter sized bed, ample storage, mirror, large study desk and chair, as well as a modern kitchenette with a microwave oven, fridge-freezer and hob. £200 cashback when you book!